Mauritius is indeed honoured to host the 18th Commonwealth Conference of Education Ministers (CCEM), which comes at a critical moment when the world’s attention is focused on the 2015 deadlines for the Education For All (EFA) and other internationally agreed education-related goals. This meeting of Education Ministers of the Commonwealth, which will be the last one before 2015, is thereforeof significant importance. We need to remind ourselves of the pledge taken at the World Education Forum held in Dakar in 2000 when 164 governments pledged to achieve EFAby 2015. Wetook the commitment to provide for early childhood care and education, free and compulsory primary education for all, to promote learning and life skills for young people and adults, to achieve gender parity and finally to improve the quality of education. Along with the Millennium Development Goals which fostered better health and education, reduction of poverty and hunger, and promotion of sustainable lifestyles, these targets have been the ambitious road map for the global community to follow and they have figured on the agenda of all our important education forums over the last decade. This 2012 Conference, which has its overarching theme ‘Education in the Commonwealth: bridging the gap as we accelerate towards achieving internationally agreed goals’, provides a unique platform for member countries to evaluate the strengths and weaknesses of their educational policies and endeavour to foster positive transformation in education at all levels. It should be recognised that despite financial and human resource constraints, many countries have made genuine efforts towards achieving gender parity and universal primary education. However, much remains to be accomplished. There is a need for stronger political will among member states in terms of commitments for deployment of resources that would accelerate universal access to education and alleviate poverty. The global economic crisis should not be allowed to erode the progress already made in education. Governments should be motivated to fulfil their commitments through strong partnerships and shared commitments. The 18CCEM assumes a richer and wider dimension as it focuses on the distinct areas of education. The deliberations of experts during the four parallel forums, namely the Teachers’ Forum, Youth Forum, Stakeholders’ Forum and Post-Secondary and Higher Education Leaders’ Forum and the ensuing resolutions will undoubtedly contribute to broaden Commonwealth goals of development, democracy and human rights. As Mauritius gets ready to welcome delegates to the 18CCEM, I would wish to highlight our main education policy orientations. 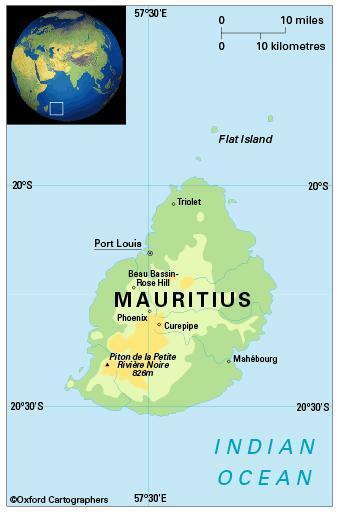 Mauritius, as an island state with practically no natural resources, had the farsightedness to invest in its people since the early days of independence in 1968. Today, education is free at pre-primary, primary and secondary levels and also up to full time undergraduate level at the University of Mauritius. Transport is free for all students to attend school. The country has achieved high enrolment rates with (97 per cent) at pre-primary level, (100 per cent) at primary level and the transition rate from Primary to Secondary level has reached 84 per cent in 2011 (72 per cent for mainstream and 12 per cent for prevocational stream). It should be pointed out that education is compulsory up to the age of 16. In 2011, national literacy rate stood at 94 per cent for the age group 20 to 24, and at 85 per cent for the whole population. Today, the principles of equity, inclusiveness and quality are central to our education strategy. Indeed, our reform agenda places a high premium on broadening access to quality education and promoting lifelong learning. In this respect and in its endeavour to create and drive a knowledge economy, Mauritius has made important investments in information and communication technologies (ICTs) in a bid to trigger a digital revolution in our schools and transform the traditional teaching and learning process. Mauritius has been called upon to play a leading role in the implementation of the Sankoré Project, which aims to reduce the digital divide in Africa and help countries achieve EFA goals. In view of latest global labour market trends, Mauritius is reengineering its workforce to adapt to structural changes taking place in its economy. The new policy orientation involves skills and technology acquisition so as to drive innovation and facilitate investment in promising sectors. Mauritius has adopted the concept of education for sustainable development in line with The Decade of Education for Sustainable Development proclaimed by the UN covering the period 2005-2014. The values, principles and practices of sustainable development have been incorporated into teaching and learning. The Maurice île Durable project, under the patronage of the Prime Minister of Mauritius, bears testimony to our commitment to promote the Green Economy. As an island state, due importance is being given by Mauritius to the development of the Ocean Economy in view of the enormous economic potential of maritime resources. I am convinced that the 18CCEM will undoubtedly provide a unique opportunity to the Commonwealth family to strengthen mutual relationships in our quest for attainment of common goals in education. The moment has never been so strong for us to show our shared commitment. As a key player in the international education arena, the Commonwealth will be agreeing on priorities and charting the education road map for the next decade. It is a matter of great pride for us to host the 18th Commonwealth Conference of Education Ministers (18CCEM) at a time when important transformations are taking place in the world of education. This year’s theme, ‘Bridging the Gap as we Accelerate Towards Achieving Internationally Agreed Goals’, is pertinent to the educational strategies of most Commonwealth states and would no doubt encourage deep thinking and critical analysis of our policies and actions as we strive to achieve the Millennium Development Goals. The Commonwealth Secretariat has indeed played a leading role in promoting education through funding of projects and programmes as well as scholarships that have helped to strengthen capacity in developing countries, to improve the quality of education and support education services in difficult regions and areas affected by crisis. The Education Good Practice Award introduced by the Secretariat is a laudable project that recognises best practices of countries and educational institutions and encourages innovation. The Secretary-General, Mr Kamalesh Sharma, deserves our special tribute for the impetus given to the Secretariat in strengthening democratic governance, in training, mentoring and funding youth and in the ‘mainstreaming of young people’s affairs with policies and budgets to match in member countries’. I am particularly pleased that one of the parallel events of the 18th CCEM will focus on post-secondary and higher education. Higher education is critical for sustained growth; it has the potential to improve productivity and competitiveness, promote innovation and research by providing the high-level skills required by the labour market. It develops technical, analytical and critical skills. Recent years have witnessed the expansion of higher education, increasing private participation in provision of education and demand for new skills in the local market. These developments have raised fundamental issues such as equity, quality and relevance of higher education programmes, development of the right type of skills, research capacity and financing. The Government of the Republic of Mauritius recognises the importance of developing higher-level skills, fostering lifelong learning and triggering innovation through basic and applied research. It is placing high importance on knowledge-driven growth and innovation capacity for its future development. This policy has prompted the Government of Mauritius to create a ministry dedicated to tertiary education, science, research and technology and to pursue a policy of expanding tertiaryeducation, to ensure equitable access to everycitizen and become a regional knowledge center. Our aim is to increase the Gross Tertiary Enrolment Rate (GTER) from 46per cent in 2012 to 72 per cent in 2015. Weare currently formulating a strategic vision and elaborating the legal framework to enable us to achieve this vision. Major investments arebeing made by the government to expand campuses and attract reputable institutions to operate in Mauritius. Currently, there are 60 private institutions and 11 publicly funded institutions offering about 770 programmes, including medical studies. The development of open learning is expected to play a critical role in opening higher education opportunities. The Government of Mauritius is in the process of setting up an Open University and developing a national Open and Distance Learning Policy. We would like to express our appreciation to the Commonwealth of Learning for its advisory support in this field. Commonwealth small states need to optimise their own resources through research, science, technology and innovation in order to achieve sustainable development. Some initiatives have already been taken up by the Government of Mauritius, and include the setting up of a National Research Fund and the creation of National Research Chairs. We are currently developing a national research strategy. Our ability to sustain growth in a globalised context depends to a large extent on our ability to develop higher skills, professional capacity and knowledge, and use technology to address the sustainable development challenges. We have to develop the right strategies and regulatory systems and enhance the local management capacity. Many of us, particularly the small island states, share the same concerns and challenges in the field of higher education. It is expected that the international partnership and brotherhood fostered by the Commonwealth Secretariat will allow us to address them collectively and work together for the development and expansion of educational opportunities. The Ministry of Education, Culture and Human Resources is responsible for education and training and coordinates provision between the government, donors, NGOs and the community. There are 12 years of compulsory education starting at the age of five. Primary school comprises six years and secondary seven, with cycles of three and four years. Some 97 per cent of pupils complete primary school (2011). The school year starts in January. Education is free at the primary and secondary levels, partly subsidised at the pre-primary level and heavily subsidised at the tertiary level. engineering; law; management; science (including the Department of Medicine); and social studies and humanities. Other institutions include the University of Technology (operational from September 2001); Mauritius Institute of Education (training teachers); Mahatma Gandhi Institute (courses in Asian culture); Open University of Mauritius (higher and continuing professional education; established in July 2012, incorporating Mauritius College of the Air); and Sir Seewoosagur Ramgoolam Medical College (established at Belle Rive in 1999). The female-male ratio for gross enrolment in tertiary education is 1.3:1 (2012). Literacy among people aged 15-24 is 98.1 per cent (2011).